And I know you are all going to be super excited for this Terrific Tuesday Giveaway because it is for a highly anticipated, oh so adorable, Hello Darling Layer Cake designed by Bonnie and Camille for Moda. EEEkk, I just love this line!!!!!! ENTRY 1 - Simply leave a comment telling me how you say Hello?? Are you a Hi, Hey, Hello, ect. kind of person. I'm a "hi" kind of gal. I think I switch between hi and hey... Never thought about it before. Now I need to start paying attention! Hellooooooo! I'm a hello girl! And thanks so much for the giveaway last week...I just emailed you back!! Woo-hoo!! I like all the Winter Elegance fabrics over at Red Rooster! sometimes it depends on the person. usually a hello. I've always been a "hey" kind of girl. I'm also a "Hi" girl. Visited the shop - love their gift and wool sections! I just visited the shop and I'm still loving Avalon and Somerset by Fig Tree. Love that they still have some of these lines! I visited this cute shop and saw that they have fabric in one of the older Christmas lines-25th and Pine! Have to check what I have cause I was looking for a bit more of this! I think I'm a Hi kind of person :) thanks for the chance!! I am freshly back from our MQG's first weekend retreat. I have caught up on my sleep and am ready to start sewing again. I'd love to try some Fresh Press or add some Free Spirit True Colors to my stash. I've used them all, but Hi is used for the most part. Mostly Hi and Hello, depending on how familiar I am with the person. I did sign up for Rustic Roosters newsletter. After looking around, I found FOLKLORE by Lily Ashley for Moda. It is gorgeous and I really enjoy Crewel Hand Embroidery patterns,stitches and so forth. This material bundle just would be wonderful to create with! Thank you for sharing and having this great give away chance. Have a wonderful creative day! I would have to say it is "Hi", unless I am in a business situation, then I go with "Hello". I usually say hi or hello. I say hi if I know the person. My favourite item is the green colour dip mug. I signed up for the Rustic Rooster newsletter. Thanks for the fun giveaway. I love Hello Darling!!! I'm the 'Hej!'-type. That's Swedish although I am from Germany. I visited, like notions with Best Press large size. If it's somewhere professional - ish I say hi or hello, if it's in my own time and I know the person well I prefer to say something ridiculous. Supercalifragilisicexpealidocious works. It depends on who I'm greeting so sometimes it's a Hi and sometimes hello. Hey! now and then as well - it is the smile that matters! Sometimes I'm Hiya sometimes I'm Ello. Usually I'm a "Hi" person. I' following the Rustic Rooster Quilt Shop by email. I saw some beautiful fabrics that are coming soon. Colette - I can't wait! I usually say "hi." 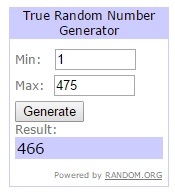 Thank you for this giveaway! I've signed up for the Rustic Rooster's newsletter. I may be unusual but I actually use all three. At work it is the more formal Hello, outside of work, Hi for strangers and Hey for close friends and family. i have a million ways of saying hello. it's a throwback to my days in retail where i was expected to greet every customer. it gets awfully boring saying hello 400 times a shift. 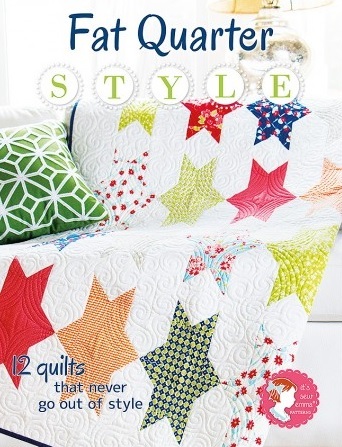 I have "liked" the Rustic Rooster Quilt Shop's FB page as well as signed up for their newsletter. I also found a really cool coffee Quilt Happy color dipped coffee mug that would make a great gift for a friend of mine! Thanks for sharing their site! I like a shop that allows a fabric search by color! I am looking for green yardage & the Flower Patch Green looks close, a sweet texty print, but it is so hard to select the color on a computer! i checked out the rustic rooster shop. lots of beautiful fabrics to choose from. i'd like to get my hands on some of the grunge line. Here in Texas, we say "Howdy!"!!! Jumping over to Rustic Rooster now!!! Can't believe I don't know about them yet!!! I was saying this before a certain celebrity cook made it famous, "Hi y'all". I say Hi! Thanks for the fun Melissa! I follow Red Rooster on Facebook. Thanks again! My mom always said "yoo hoo". I say well hello! I always use the well. I follow the Rustic Rooster on Facebook. I also receive their newsletter. I follow Rustic Rooster Quilt Shop on Facebook. I generally say hello or hi! If I know you its Hey. if I am first meeting you it's Hello. I am a "Hi" girl! I signed up for the Rustic Rooster newsleter. Winter Elegance 6MW6M1 is a favorite fabric. I think I alternate between hi and hello! Hi! How are you? Is my usual greeting. Hello Darling! Love it! I do follow Rustic Rooster on Face Book. I'm a "Hey!" kind of girl! I've been living in North Carolina for over 40 years, & we say "Hey!" Thanks. I'm signed up for the Rustic Rooster newsletter. Thanks again. I signed up for the Rustic Rooster newsletter. Looks like a very nice shop. I say hey to family and friends. I get the rustic rooster newsletter. I think I usually respond with "hi"
I'm definitely a Hello gal. HI, I say "Hi" to most! I say "Hi"+hug my friends+family members! SHARED+THANKED "THE RUSTIC ROOSTER" ON FB! I'm a Rustic Rooster newsletter reader! I'm from New Zealand, our Hello is "Kia Ora" or "Gidday!" I usually say Hi, but when my husband comes home it's Hey Sweetie. Thanks for chance to win this Beautiful fabric line! Love it! Now that I live in GA I say "Hey", but back in high school when I read Huck Finn I remember looking "Hey" up in the dictionary because even though I thought it might be a greeting I wasn't sure. In WA "hey" was just a rude way to get someone's attention. I say Hey, or hey y'all. I visited the site and was happy to find they sell Mettler thread. I'm in the South so it's "hey" for me! Only "hello" when answering the phone. I'm in love with Hello Darling. Thanks for the chance. I am very random depending on the situation, but I mostly just say "Hi". I like Rustic Rooster Quilt Shop on FB as Kathy Newsom Davis. I just say hello now, but when I was teaching music, I used to greet my students with "howdy"! I always say, "Hi there!" I get the Rustic Rooster newsletter! Thanks for such great prizes!!! Well it depends. Closest friends get a "Hey how's it going", most others are "Hi". Rustic Rooster has a pretty huge selection of Moda Grunge that I love so!!! Also saw some 25th and Pine yardage that I have been looking for. I say Hi, how are you? Thanks! I think I usually say "hi there" or "hey y'all", and save "hello" for people I don't know as well. I love Rustic Rooster Quilt Shop! I follow them on FB, and I subscribed to their newsletter. I follow RR on fb. Thanks for the great prize. Anything Bonnie and Camille is fantastic! Love the Aurifil thread that Rustic Rooster. Love this line of fabric. So cheerful. I follow Rustic Rooster on facebook and get their newsletter. And, I'm usually a hello person if I don't know you that well, but it's "hey" if it's a friend. And Iove the Elizabeth Patchwork Quilt Pens! When I answer the phone I say Hello. When I see an old friend I say HI! Fascinating question! I'm a 'hello' sort of person but also a 'good morning' one on the school run across the park. I am a hello kind of person. Hi gets reserved for friends. I am definitely a "Hey" person--even an e-mail subject line sometimes! Informal all the way and love your blog and Bonnie and Camille fabric! In Duth it is Hallo, for friends: Hoi. Thanjs for the chance, love the fabric! I am a HI person! Thanks! I checked out their shop and love the colorful Quilt Happy dipped mugs - especially the purple one. Too cute! I'm in the Hello camp. Thanks for the chance. It depends on my mood. Hi, Hiya or Howdy are the main rotation. Lol fun question. Thanks to you and Red Rooster for the giveaway! I tend to say "Hi" or "Hello" - thanks for the chance to win! Well…as you can see, I'm a "Hi There" kind of gal!!! I've gotten the Rustic Rooster newsletter for quite some time. I follow Red Rooster on Facebook! Most of the time I say "Hey" or "Hi". I'm just that type of person. And just not very formal unless the occasion calls for it then I'd say "Hello". 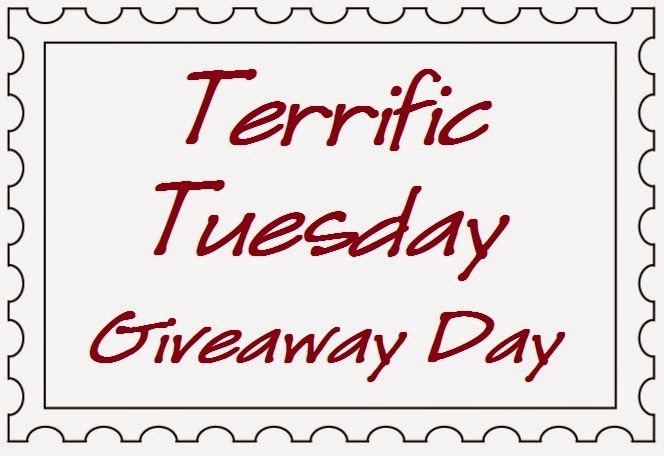 Thanks for the giveaway every Tuesday! I follow Red Rooster on FB. I follow Rustic Rooster on Facebook. Thanks!! I love the Wool charm packs in their shop! oooh my other comment disappeared! I'm a 'hi' kind of gal. Thanks for a chance to win. Just love that line too! Usually just Hi -- but always Hello when I answer the phone. I like to say hello by saying 'hey'! The more drawn out the hey, the happier I am to see you!! Love the Crazy for Daisies 00463 White fabric! I'm a Hello!! kind of person usually. I love the Moda Autumn Lily fabric. I say "Hi" to people. I say Hi and Hello! 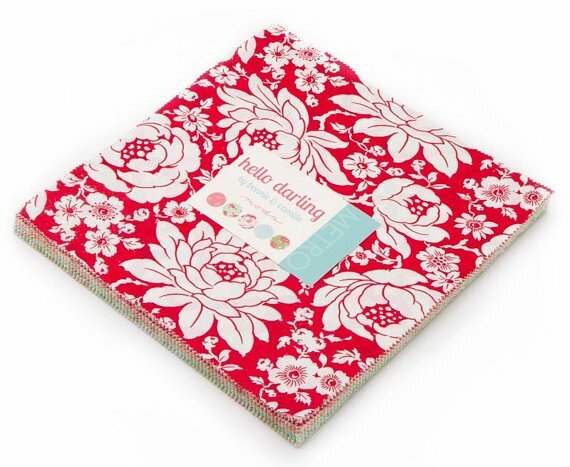 One of my favorite fabric collections at Rustic Rooster is Aloha Girl by Fig Tree Quilts!